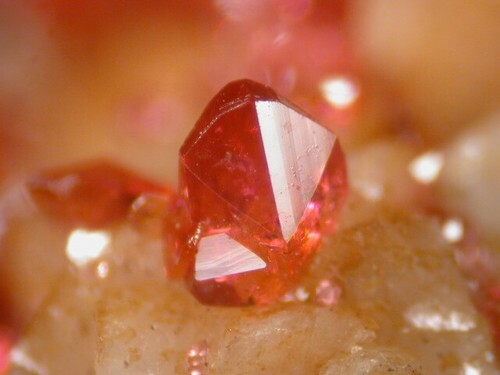 Wendwilsonite: Mineral information, data and localities. Often contains some Co replacing Mg.
Named in 1987 by Pete J. Dunn,, Bozidar Darko Sturman, Joseph A. Nelen in honor of Dr. Wendell E. Wilson, editor and publisher of the Mineralogical Record. 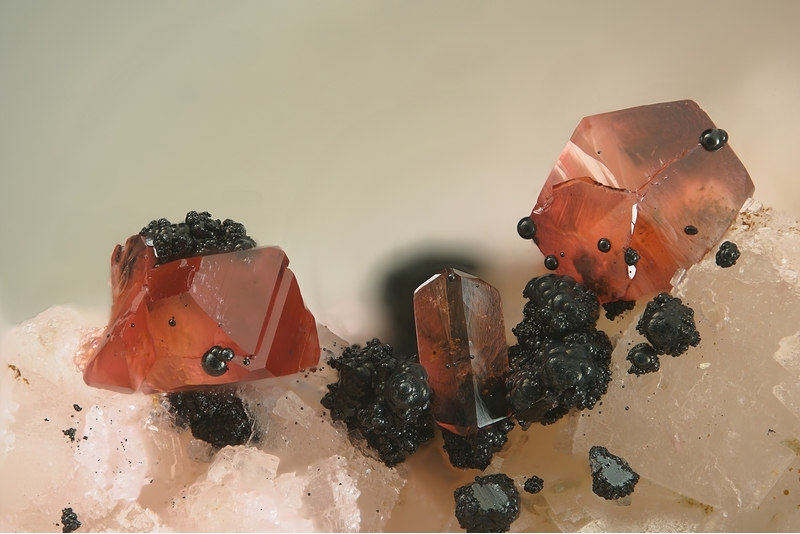 The magnesium analogue of Roselite. Zincroselite Ca2Zn(AsO4)2 · 2H2O Mon. Calcite 12 photos of Wendwilsonite associated with Calcite on mindat.org. Quartz 9 photos of Wendwilsonite associated with Quartz on mindat.org. Cobaltaustinite 7 photos of Wendwilsonite associated with Cobaltaustinite on mindat.org. Erythrite 7 photos of Wendwilsonite associated with Erythrite on mindat.org. Skutterudite 6 photos of Wendwilsonite associated with Skutterudite on mindat.org. Nickelaustinite 6 photos of Wendwilsonite associated with Nickelaustinite on mindat.org. Roselite 5 photos of Wendwilsonite associated with Roselite on mindat.org. Talmessite 4 photos of Wendwilsonite associated with Talmessite on mindat.org. Cobaltlotharmeyerite 3 photos of Wendwilsonite associated with Cobaltlotharmeyerite on mindat.org. Dolomite 2 photos of Wendwilsonite associated with Dolomite on mindat.org. 8.CG.20 Rappoldite Pb(Co,Ni,Zn)2(AsO4)2 · 2H2O Tric. 40.2.3.3 Zincroselite Ca2Zn(AsO4)2 · 2H2O Mon. 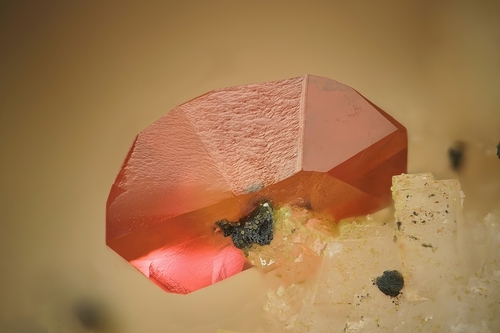 20.10.4 β-Roselite Ca2Co(AsO4)2 · 2H2O Tric. 20.10.10 Smolyaninovite Co3Fe3+2(AsO4)4 · 11H2O Orth. Dunn, P. J., Sturman, B. D., Nelen, J. A. (1987): Wendwilsonite, the magnesium analogue of roselite, from Morocco, New Jersey, and Mexico, and new data on roselite. American Mineralogist, 72, 217-221. Kolitsch, U. & Fleck, M. (2006): Third update on compounds with kröhnkite-type chains: the crystal structure of wendwilsonite [Ca2Mg(AsO4)2·2H2O] and the new triclinic structure types of AgSc(CrO4)2·2H2O and M2Cu(Cr2O7)2·2H2O (M = Rb, Cs). European Journal of Mineralogy, 18, 471-482. The following Wendwilsonite specimens are currently listed for sale on minfind.com. Pekov, I. V., Vinogradova, R. A., Chukanov, N. V., & Kulikova, I. M. (2001). On magnesian and cobalt arsenates of the fairfieldite and roselite groups. Zapiski Vseross. Mineral. Obshch.(Proc. Russ. Miner. Soc. ), 130(4), 10-23. J. Gröbner und U. Kolitsch (2005), Lapis 30 (7-8), 71-73; 81-82; Kolitsch & Fleck (2006), European Journal of Mineralogy, 18, 471-482. Dunn, P.J., et al (1987) American Mineralogist:72: 217-221. Favreau, G. and Dietrich, J. E. (2006). 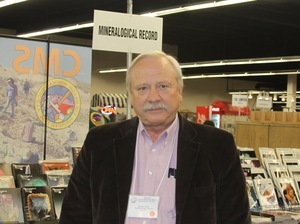 Die Mineralien von Bou Azzer. Lapis 31(7/8), 27-68; Meisser, N.; Brugger, J.; Krivovichev, S.; Armbruster, T.; Favreau, G. (2012): Description and crystal structure of maghrebite, MgAl2(AsO4)2(OH)2•8H2O, from Aghbar, Anti-Atlas, Morocco: first arsenate in the laueite mineral group. European Journal of Mineralogy 24, 717-726. Dunn, P.J., et al: Am.Min. :72:217-221 (1987); Dunn(1995):Pt5:685.